 Conway Medical Center offers Outpatient Nutrition Services for patients at nutritional risk. If you have been prescribed a special diet by your physician or if you want to learn more about healthy eating, CMC can help. We provide individualized medical nutritional therapy with a registered dietitian for people of all ages who have specific nutritional needs. Guided by our registered dietitians, our caring and professional staff will give you the necessary steps and tools to acquire healthy eating habits and make the correct choices for best nutritional values targeted to your individual diagnosis. A physician’s order is required to schedule an appointment with CMC Outpatient Nutrition Counseling Services. The physician’s order can be faxed to our Central Scheduling Department at 843-234-5016. Please also submit your insurance card/information so we can determine if nutrition counseling is covered under your insurance plan and advise you of any co-payment or payment that will be needed. If you need to contact our Central Scheduling Department, their direct line is 843-234-5474. If you would like additional information about our Outpatient Nutrition Counseling Service, please call 843-347-8241.